Personality Web Designs offers a myriad of services. We give our clients personal consultations to guarantee a satisfactory product. We also offer services such as: E-commerce solutions, marketing solutions, web hosting, custom web and graphic design services such as: branding (corporate identity), brochures, business cards, flyers, and more. Personality Web Designs offers a myriad of services. We give our clients personal consultations to guarantee a satisfactory product. We also offer services such as: E-commerce solutions, marketing solutions, web hosting, custom web and graphic design services such as: branding (corporate identity), brochures, business cards, flyers, and more. We offer an innovative way to capture positive reviews from your customers and follow up with Reputation Management secrets to keep you a 5 Star Business. Call for a free demo in las vegas. 702-994-4994. We also do Social Media and Website development. We offer an innovative way to capture positive reviews from your customers and follow up with Reputation Management secrets to keep you a 5 Star Business. Call for a free demo in las vegas. 702-994-4994. We also do Social Media and Website development. Solution X Marketing was founded in 2013 to work with small to medium businesses on their marketing tactics. We have found that many businesses currently have to source multiple companies to handle the different marketing needs that they have. Such as one company that creates a website, one that creates their print materials, one that handles event hosting, one that handles their social media, and much more. Solution X Marketing was founded in 2013 to work with small to medium businesses on their marketing tactics. We have found that many businesses currently have to source multiple companies to handle the different marketing needs that they have. Such as one company that creates a website, one that creates their print materials, one that handles event hosting, one that handles their social media, and much more. Founded in 2003 by video game and entertainment industry experts, TAKEOFF has become one of the leading video game creative agencies in the USA, Canada and Europe. The Los Angeles, California game marketing agency deals in 4 types of creative services: Graphic design, video production, web campaigns / web sites, and collectible items. Our team of veteran designers are ready to help excite your audience through innovative marketing and consistent branding. Founded in 2003 by video game and entertainment industry experts, TAKEOFF has become one of the leading video game creative agencies in the USA, Canada and Europe. The Los Angeles, California game marketing agency deals in 4 types of creative services: Graphic design, video production, web campaigns / web sites, and collectible items. Our team of veteran designers are ready to help excite your audience through innovative marketing and consistent branding. Appeonix Creative Lab is a firm that handles all kinds of technologies. We have a wide range of products from movie ticket booking android app to e-commerce portal. Appeonix Creative Lab is a firm that handles all kinds of technologies. We have a wide range of products from movie ticket booking android app to e-commerce portal. True Tech Computer Repair and SEO of Coralville Iowa can make your computer run like new again. We fix Pc and Mac computers. We serve the Iowa City area and beyond. Call now to schedule a repair or inquire about our effective SEO packages. True Tech Computer Repair and SEO of Coralville Iowa can make your computer run like new again. We fix Pc and Mac computers. We serve the Iowa City area and beyond. Call now to schedule a repair or inquire about our effective SEO packages. Geeks to the Rescue helps growing business manage the technology gap. We provide proactive, flat-rate Managed IT Services, on-demand IT Support, and Cloud IT Solutions for business with 1-200 Employees. We service the Washington DC metro area including Alexandria, Rockville and Fairfax. Our core clients are professional services companies: Law Firms, Medical Practices, Financial Services Companies, Insurance Agencies, Non-Profits and Real Estate Development. Geeks to the Rescue helps growing business manage the technology gap. We provide proactive, flat-rate Managed IT Services, on-demand IT Support, and Cloud IT Solutions for business with 1-200 Employees. We service the Washington DC metro area including Alexandria, Rockville and Fairfax. Our core clients are professional services companies: Law Firms, Medical Practices, Financial Services Companies, Insurance Agencies, Non-Profits and Real Estate Development. William Bent Technology is your source for computer repair, laptop repair, virus removal, wifi networking, website design and internet marketing. We service all of Osceola County including St. Cloud, Kissimmee, Poinciana, Davenport, Celebration and Narcoossee. William Bent Technology is your source for computer repair, laptop repair, virus removal, wifi networking, website design and internet marketing. We service all of Osceola County including St. Cloud, Kissimmee, Poinciana, Davenport, Celebration and Narcoossee. Titan Entertainment Services is a complete, full service, multi-level entertainment agency that provides Concert, Festival & Event Production, Promotions, Photography, Video Production, Talent Buying Services, Press Releases, Websites, Mobile Apps, Artist Development, Artist Management, Event Management and much more. Titan Entertainment Services is a complete, full service, multi-level entertainment agency that provides Concert, Festival & Event Production, Promotions, Photography, Video Production, Talent Buying Services, Press Releases, Websites, Mobile Apps, Artist Development, Artist Management, Event Management and much more. We offer a complete range of computer repair services for placer county and Sacramento businesses or residences. We offer virus removal, hardware and software upgrades, PC Tune-ups, home networking, wireless networking, business networking and routing, computer repair and troubleshooting and many more. We provide our repair and upgrade service to placer county and Sacramento area customers and back up all of our work with a 100% no questions asked guarantee. We offer a complete range of computer repair services for placer county and Sacramento businesses or residences. We offer virus removal, hardware and software upgrades, PC Tune-ups, home networking, wireless networking, business networking and routing, computer repair and troubleshooting and many more. We provide our repair and upgrade service to placer county and Sacramento area customers and back up all of our work with a 100% no questions asked guarantee. THAT Agency is a full-service digital marketing agency located in downtown West Palm Beach, Florida and has been building brands in the digital space for over a decade. Aside from offering top quality web design, social media marketing, search engine optimization, search engine marketing & graphic design services, THAT Agency's service process ensures client projects are on-time and on-budget. THAT Agency is a full-service digital marketing agency located in downtown West Palm Beach, Florida and has been building brands in the digital space for over a decade. Aside from offering top quality web design, social media marketing, search engine optimization, search engine marketing & graphic design services, THAT Agency's service process ensures client projects are on-time and on-budget. KID is an India design agency, offering affordable partnership packages in digital marketing, graphic design and website development to companies across the globe. KID is an India design agency, offering affordable partnership packages in digital marketing, graphic design and website development to companies across the globe. We have skilled manpower on Photoshop related work in image editing. We are expert on Clipping path, Background change, Image Masking, Neck join, Image Retouch, Raster to vector convert, Multiple Clipping / Color Paths, Object Remove, Image Enhancement/ Manipulation, Image Cropping & Re sizing, Image Shadow etc within the demandable time. I would like to make a request if you outsource any work kindly give us the opportunity to work with you. We have skilled manpower on Photoshop related work in image editing. We are expert on Clipping path, Background change, Image Masking, Neck join, Image Retouch, Raster to vector convert, Multiple Clipping / Color Paths, Object Remove, Image Enhancement/ Manipulation, Image Cropping & Re sizing, Image Shadow etc within the demandable time. I would like to make a request if you outsource any work kindly give us the opportunity to work with you. 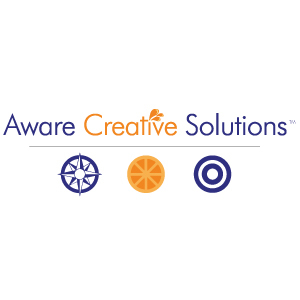 We're a marketing agency located in northern WI serving clients around the US. As we like to say, "we put your business on the map!" Our office is located in Phillips, WI. Whether you're looking for an on-call marketing consultant or a fully outsourced marketing team, we've got you covered. We provide web design, email marketing, copywriting, marketing strategy, graphic design, business cards, social media, logo design and SEO services. We're a marketing agency located in northern WI serving clients around the US. As we like to say, "we put your business on the map!" Our office is located in Phillips, WI. Whether you're looking for an on-call marketing consultant or a fully outsourced marketing team, we've got you covered. We provide web design, email marketing, copywriting, marketing strategy, graphic design, business cards, social media, logo design and SEO services. Malane Newman is a leading designer offering services in website design/development, graphic design, cartooning and illustration. Works virtually with clients throughout the United States. Malane Newman is a leading designer offering services in website design/development, graphic design, cartooning and illustration. Works virtually with clients throughout the United States. PhotoTrims is one stop solution of all graphics design need. We are providing Clipping Path, Image Masking, Background / Object Removing, Image Shadowing, Retouching & Restoration, Jewelry Photo Retouching, Wedding Photo Retouching, Glamour Retouching, Logo Making, Magazine Designing, Raster to Vector Conversion and many more. PhotoTrims is one stop solution of all graphics design need. We are providing Clipping Path, Image Masking, Background / Object Removing, Image Shadowing, Retouching & Restoration, Jewelry Photo Retouching, Wedding Photo Retouching, Glamour Retouching, Logo Making, Magazine Designing, Raster to Vector Conversion and many more.